The cosy warmth of mild summer nights lies in the hydrating texture for hair and body. 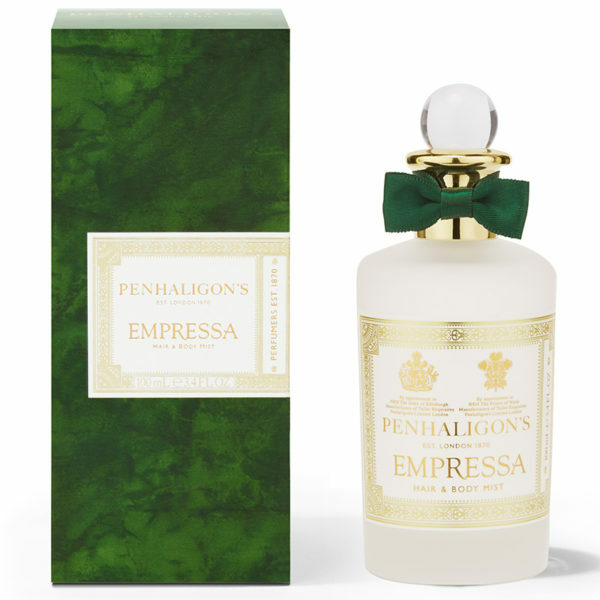 Equipped with nurturing argan oil and intense scent essences of Penhaligon’s sensual Empressa line. The Hair & Body Mist is simple at use with its unique 2 in 1 effect: The hair receives scented smoothness, is refreshed for the long-term and the skin receives a hydration boost. The fruity chypre- scent opens with subtle citrus notes of blood orange, bergamot and tangerine. The floral heart combines peach, cassis and a nuance of black berry with floral notes of rose, neroli and geranium while exotic spices such as cardamom, pink and black pepper bring depth and sensuality to the fragrance. 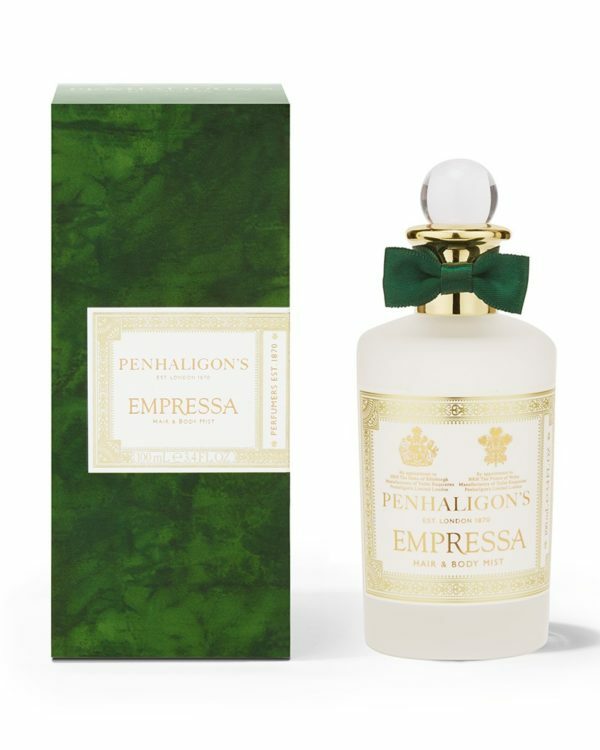 The majority of dazzling undertones adds a luxurious multifaceted nature to the creation: Vanilla bean, cacao, incense, ambergris such as having precious nutmeg fuse with the woody aromas of patchouli and sandalwood, rounded off with the sweetness of maltose.